WHAT IS a Pacesetter????? STRIDE classrooms include both children with disabilities and their typically developing peers ages 3-5. Having typically developing peers in our classrooms is important because they help set the pace for children with disabilities - hence the name, Pacesetter. At STRIDE Learning Center, we value children for their individual needs, interests, and capabilities. STRIDE offers a high quality early childhood program that provides a safe and nurturing environment while promoting the physical, social, emotional and intellectual development of young children. STRIDE classrooms are designed to stimulate children's inquisitive nature. Teachers and therapists invite children to create, explore, experiment, ask questions, problem solve, make choices, and have fun while learning. We use several researched based curricula to address these skills including the We Can! which supports educators as they create learning opportunities to meet the unique needs of each child. We invite you to consider STRIDE Learning Center for your child's preschool experience. Applications may be e-mailed or dropped of at either STRIDE location (326 Parsley Boulevard or 5801 Yellowstone Road). 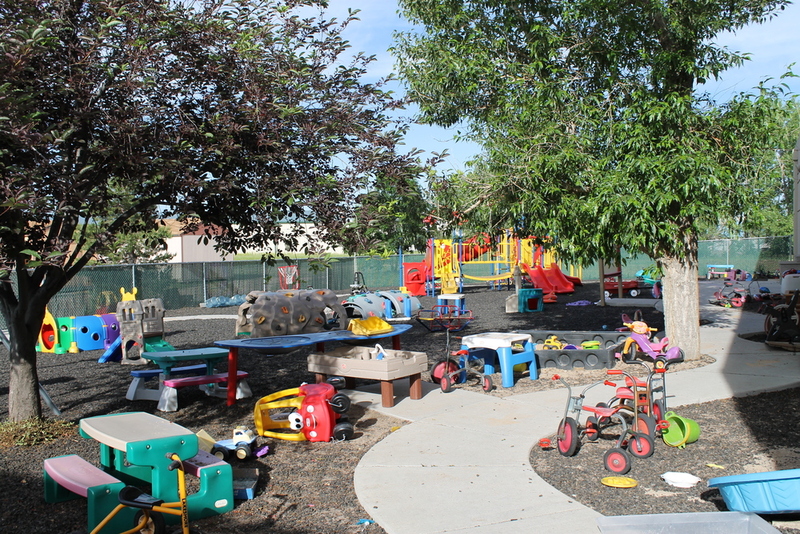 To schedule a tour, or for questions about this program call 307-632-2991 or e-mail at pacesetters@stridekids.com. Tuition is not based on attendance and will be billed in advance due by the first of each month. A late fee of $15 will be applied if your payment is received after the 5th of the month in which it's due. Monthly ACH payments can be set up, no fee will be assessed. STRIDE accepts cash, check, Discover, Visa, and MasterCard and debit cards. A $3 fee will be applied each time for all credit/debit cards. Tuition must be paid in order for your child to return to school the following month. An $80 enrollment/materials fee is assessed for each child when they are placed/accepted, and is non-refundable. Reduced tuition is available based on the guidelines for 185% of the Federal Poverty Level. CLICK HERE for the reduced tuition application. Please make sure when completing this application that you submit ALL REQUIRED INCOME documentation with it.